London-based firm, Nimtim Architects have unveiled a beautiful and unique home extension to a family’s modest Victorian home located south of the city. 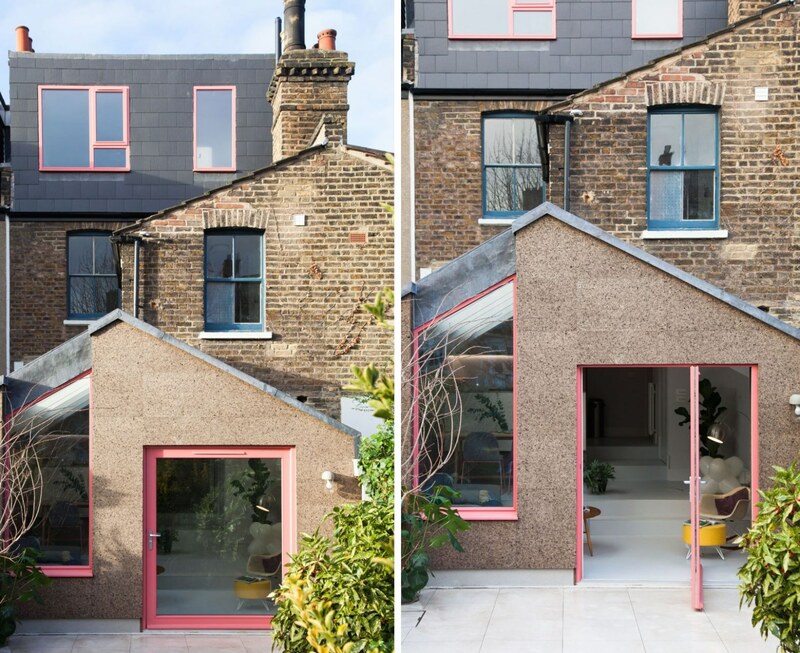 Working closely with the home owners, the architects created a rear extension that is almost entirely clad in cork. Blending in nicely with the existing home’s brickwork on the exterior, the unique cork cladding provides a strong insulation while on the interior, the cork absorbs noise, is breathable, free from harmful materials and completely recyclable. The architects designed the building in complete collaboration with the family who were looking for additional living space. 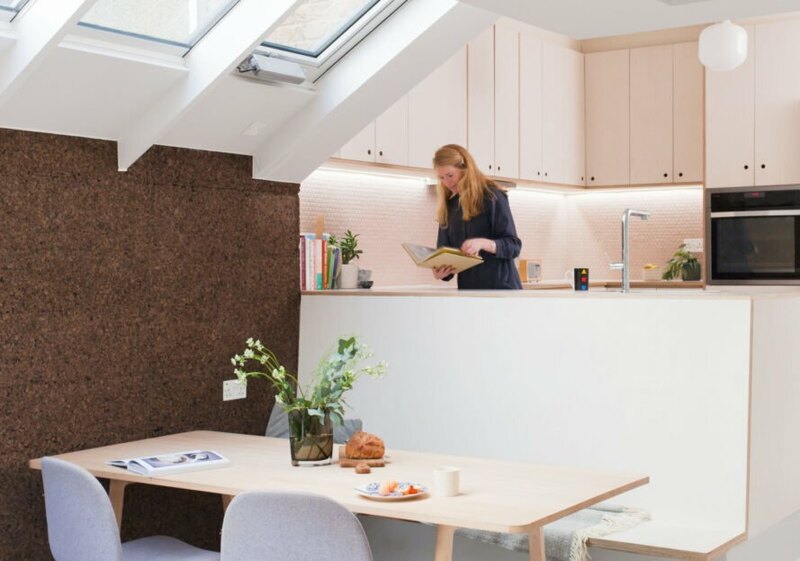 To create a seamless connection between the existing structure and the new extension, the designers created a simple box-like structure with a pitched roof and an extra large pivot door that frames an uninterrupted view of the garden. 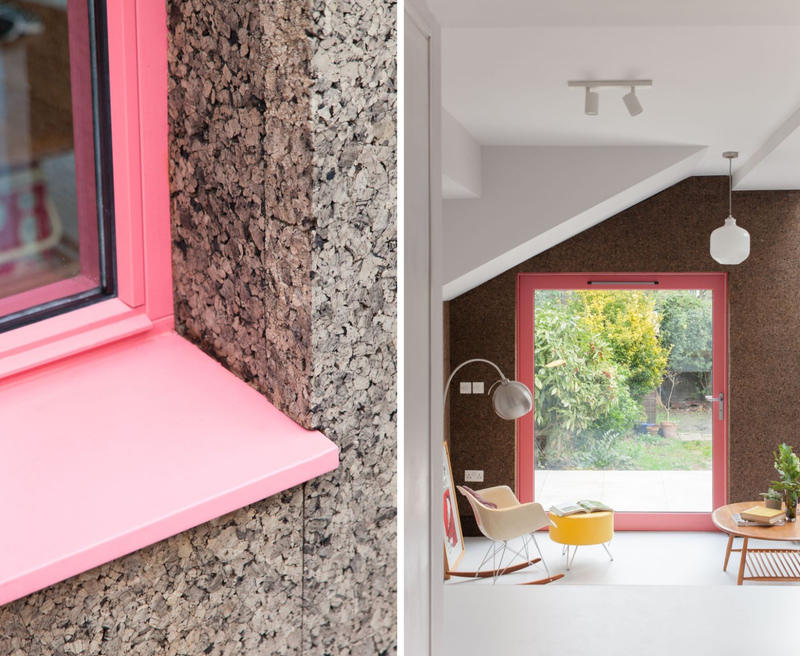 Subtle in its volume, the design managed to be both practical, sustainable and slightly whimsical– thanks to its interior and exterior cork cladding. 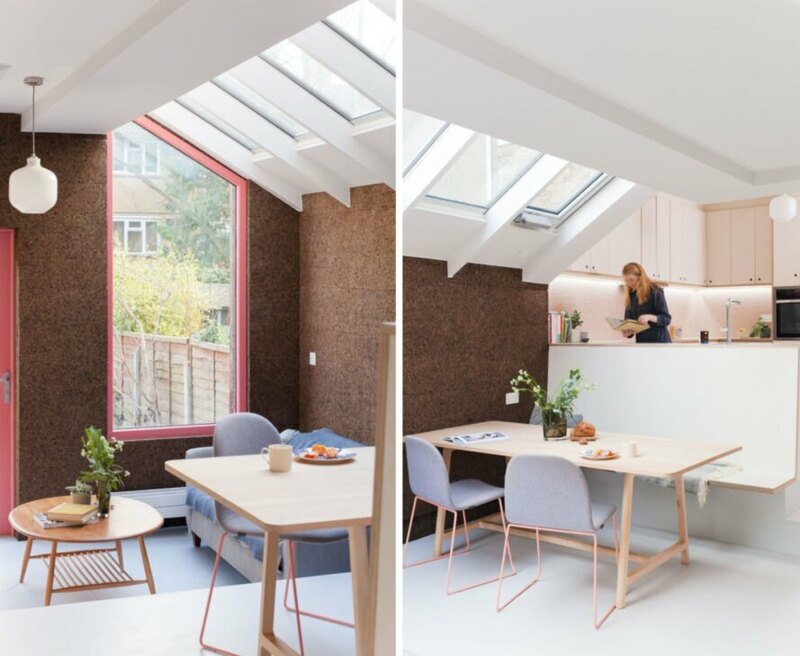 Sustainable, chemical-free and recyclable, cork is a practical building material in that it is also naturally water resistant, something important in this particular design considering London’s wet climate. Additionally beneficial, cork naturally absorbs sound and is also thermally efficient, meaning that no additional insulation was necessary. On the interior of the new building, the space is flooded with natural light, from the large windows to series of skylights on the roof. A two-level structure, the kitchen holds court on the top floor over an ample dining space and informal seating area. Throughout the space, dark cork walls contrast with the all white ceiling to create a modern, fresh aesthetic. Nimtim Architects created the beautiful home extension by cladding it almost entirely in cork. 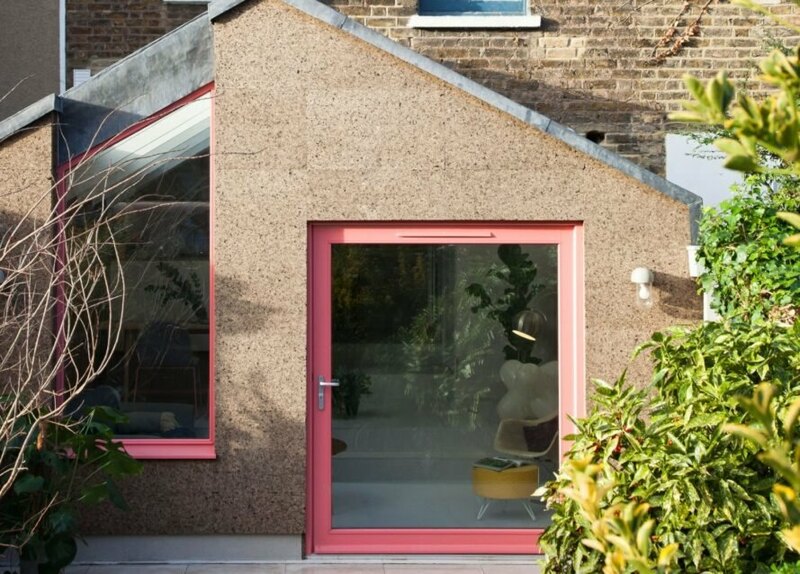 The cork cladding adds a tight insulative envelope to the design. Built for a family of four, the cork also absorbs noise and is chemical free. The extension has two levels, a kitchen on the top, with a nice dining area on the bottom floor. Thanks to plenty of windows and skylights, the interior is flooded by natural light. 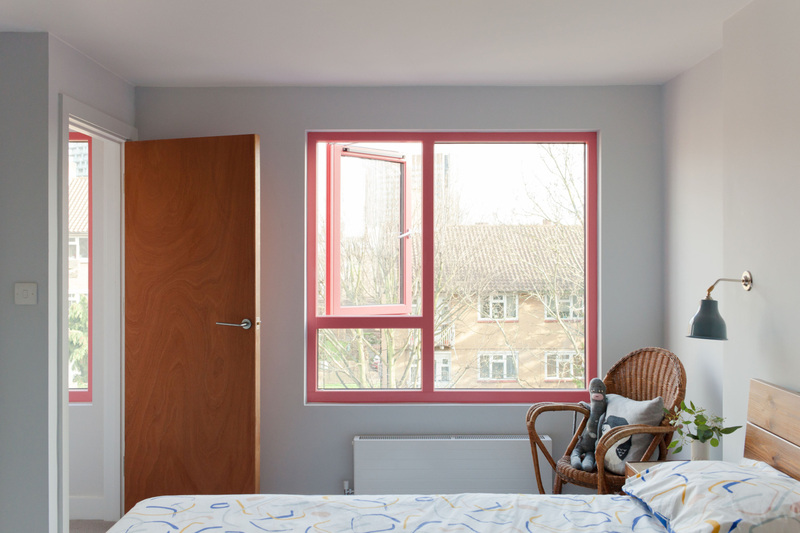 The bedroom is designed to be used as a guest room. 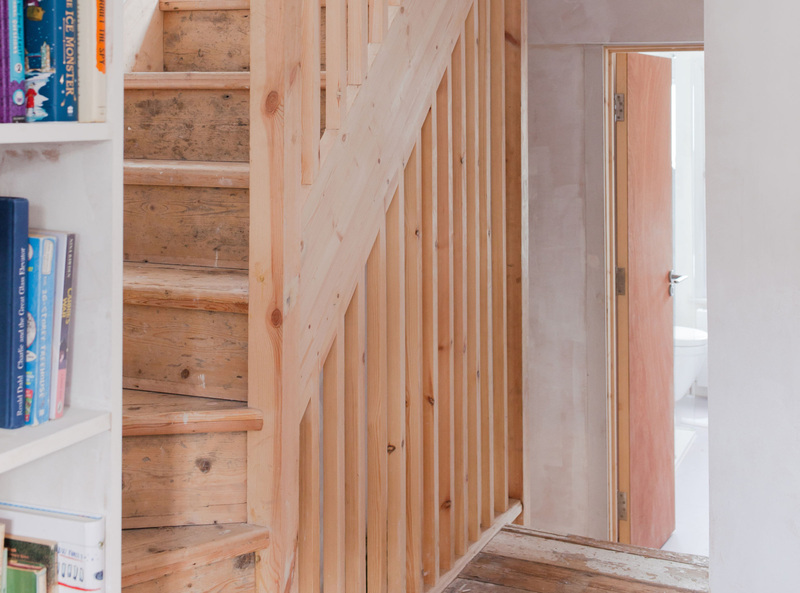 A natural wood staircase joins the new extension with the existing home. Nimtim Architects used cork throughout the design mainly because it is completely eco-friendly and recyclable.